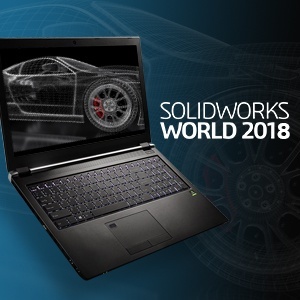 Discover how designers are using NVIDIA Quadro GPUs to bring concepts to creation on the latest PNY PREVAILPRO P4000 mobile workstation or in photorealistic VR environments at SOLIDWORKS World, NVIDIA booth 601, February 4-7, at the Los Angeles Convention Center. Visitors to PNY’s Partner Booths including the NVIDIA booth will discover how Quadro GPUs provide exceptional performance in all SOLIDWORKS applications with smoother, more realistic performance in every design mode. See for yourself how Quadro GPUs deliver the high performance needed for design and manufacturing workflows like immersive, collaborative VR, rendering physically accurate materials, and world-leading AI for generative design software.